There has been a chicken running around Westminster in recent weeks. Not a real chicken (well, depending on your definition of ‘politician’) but someone in costume, and they’re doing a great impression of David Cameron – according to Ed Miliband and Nigel Farage. In a first for British politics, the party leaders of the Lib Dems, Labour, and UKIP appear to be united under one banner as they all accuse the Prime Minister of cowardice for not wanting to take part in TV debates in the run up to the next general election in May. What has ensued is politicians demonstrating the sluggish and ineffectual bureaucracy of Westminster because they are currently engaged in a raucous, name-calling debate about whether or not they should have a future debate – definitely not a first for British politics! The plans that were initially outlined by broadcasters would see three debates prior to the general election in May: one between Ed Miliband and David Cameron; one between these two plus Nick Clegg; and one between all aforementioned party leaders with the addition of Nigel Farage. If only it were that simple. 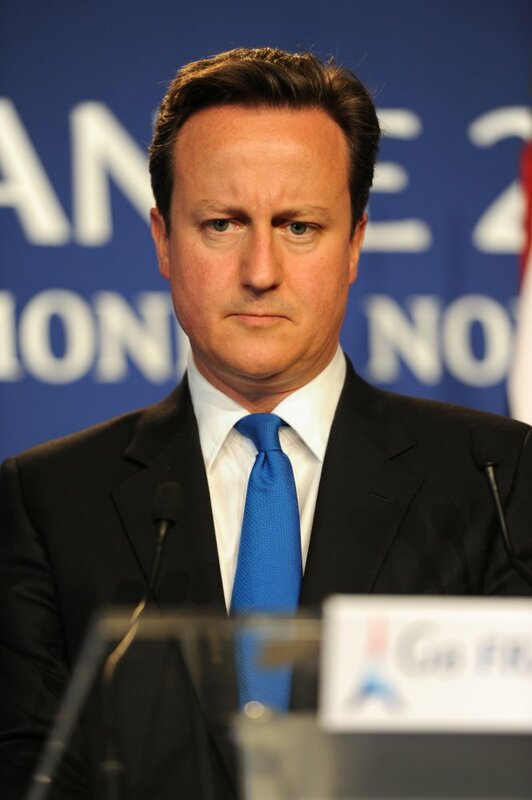 David Cameron has thrown a spanner in the works and refused to take part –without the addition of the Green party. Let’s be under no illusion, David Cameron is not a passionate environmentalist who wants to support his friends in the Green party. The Prime Minister has absolutely no interest in campaigning on live TV – especially against UKIP leader Nigel Farage – because it will most likely do more harm than good. After one of the 2010 TV election debates the approval ratings of the little known Nick Clegg soared and now he’s the deputy prime minister. The public seem to like a fresh face, a challenge to the authority (or sometimes just any alternative) and Nigel Farage is bringing it: he will go in with guns blazing, promising change and David Cameron is deeply worried (yes, perhaps even chicken) that he will swoon too many voters if he is given too much air time. The plan behind the closed door of no. 10 seems to be to hinder the TV debates at all cost. It’s a selfish game plan of the prime minister because the British public will want to (and even feel entitled to) see is a fair televised debate between party leaders: they’re accessible and they’re informative. Some politicians have questioned if the debates should take place at all, but I think there can be no ifs, or buts, about it. Televised debates have already made an indelible mark on political campaigning in Britain: think last year’s televised independence referendum debates as well as an EU membership debate between Clegg and Farage that got a lot of attention. The leaders of Labour, Lib Dem and UKIP were hoping that if the broadcasters waited long enough Cameron would eventually give in; or, even better for them, they would simply give him the empty chair treatment and proceed with the TV debates without him – a no show from Cameron when all the other parties were debating would be an unthinkable disaster for the Tories. But now, there’s a new development in the ongoing saga. Cameron’s steadfast tactic seems to have worked as broadcasters have been involved in secret meetings and have – although at the time of writing it’s still to be confirmed – come up with a plan to have TV debates that would include not only the Greens but the national parties of Scotland and Wales (the SNP and Plaid Cymru respectively). This debate could be more controversial than TV debates themselves! Posted in Features and tagged david cameron, debate, ed miliband, nick clegg, nigel farage, politics. Bookmark the permalink.